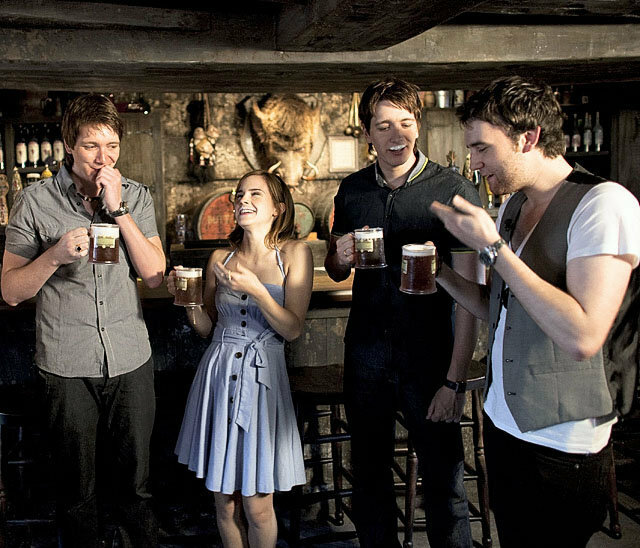 Every Harry Potter fan should try an experiment like this to taste that sweet and butterscotchy drink that you just know you have always wanted to try. A while back I had the amazing chance to take part in a Beverage Making class through my college for my degree in Hospitality and Tourism Management. Now in this class did we in fact actually make beverages? No, but I did learn a lot of cool information on how alcohol and other beverages are such an important part of not just running a restaurant, but also making a meal more enjoyable. For our final, the jist of it was to basically write something about beverages. Simple right? I enjoyed working on this final so much that I decided I didn't want to just show this too my teacher, I wanted to share it with other people as well. Me being the nerd I am my first thought for this project was to automatically do something involving Butterbeer, the famous drink that we have all wanted to try from Harry Potter. According to J.K. Rowling she said that when she wrote about this beverage in the book she pictured it tasting “A little bit like less-sickly butterscotch”. You can try and get "the real thing" at one of the Universal Studios parks in the U.S.A . I have actually tasted it before at the Universal Studios Parks in Florida and can admit it is quite a delicious but also a sugary overload. However, since not all of us can afford a trip to Florida or LA, many recipes have instead been made on trying to recreate this fictional drink. All with something different about them. With that, I scoured the internet and decided to try and make three versions of this drink all with different recipes: Cold, Hot, and Boozy. Four opinion’s is better than one, so for this experience I hired along three other people to taste these recipes with me and get their honest opinions. Instead of giving out their names I will actually instead identify them by their Hogwarts House: Gryffindor, Hufflepuff, Ravenclaw, and Slytherin. Spoons needed to be used to swirl the ingredients and get the best flavor combination you could get. The best one out of the three. No hint of actual alcohol in there and a very light aroma. 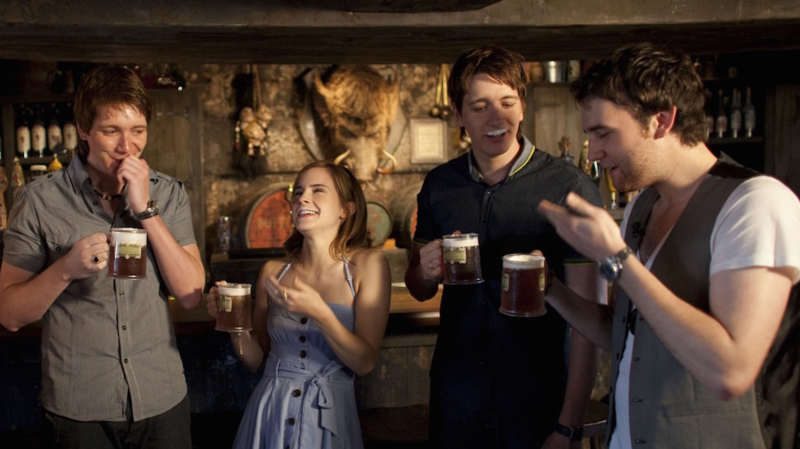 Clearly the boozy butterbeer was everyone’s favorite. After comparing these three recipes to the actual one in Universal Studios though, I can say that the two are like comparing apples to oranges. Still I think every Harry Potter fan should try an experiment like this to taste that sweet and butterscotchy drink that you just know you have always wanted to try.